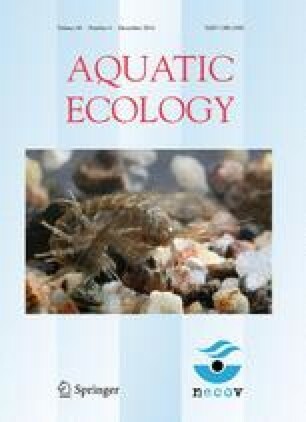 Top-down control of prey assemblages by fish predation has been clearly demonstrated for zooplankton and macroinvertebrates. However, in the benthic communities of freshwater ecosystems, the impact of fish predation on meiofaunal assemblages is nearly unknown. In this study, the predation effects of juvenile carp (Cyprinus carpio) and gudgeon (Gobio gobio) on meiofaunal abundance, biomass, community structure, and the diversity of nematodes were examined using microcosms that were sampled repeatedly over 64 days. Significant differences in abundance and biomass were found between the two fish treatments (carp and gudgeon) and their respective controls for nematodes, oligochaetes, and crustaceans (copepods, harpacticoids, ostracods, and cladocerans), but not for rotifers. These changes were consistent with top-down control of the freshwater meiofaunal assemblages in the microcosms over time. By contrast, small-bodied meiofauna was more abundant, suggesting indirect facilitation. Neither the species richness nor the diversity of the nematode community was affected by fish predation. The results indicate that predation by juvenile freshwater fish depresses the overall abundance and biomass of meiofaunal assemblages, except for rotifers, and alters the size structure of the meiofaunal community. Therefore, the meiofaunal assemblages of freshwater ecosystems may be influenced by bottom-feeding juvenile fish, e.g., carp and gudgeon, through top-down control of meiofaunal populations. We thank Hubert Spieth for his constructive and helpful assistance during this study and Stefanie Gehner for her help in the preparation of nematodes for identification. Two anonymous reviewers gave helpful comments that improved the manuscript considerably. Sebastian Weber received a doctoral grant from the Scholarship Programme of the German Federal Environmental Foundation (DBU, Osnabrück, Germany).